Drainage solutions can be best checked by Duwayne Keefe from Keppel Coast Paving and Big Wall Builders. He and his team have the answers for you and can get the job done professionally. The cover photo above is showing drainage being built by Keppel Coast Paving Yeppoon. This property has been damaged over the years due to poor drainage. This should have been done prior to the house being built many years ago, but unfortunately was not. 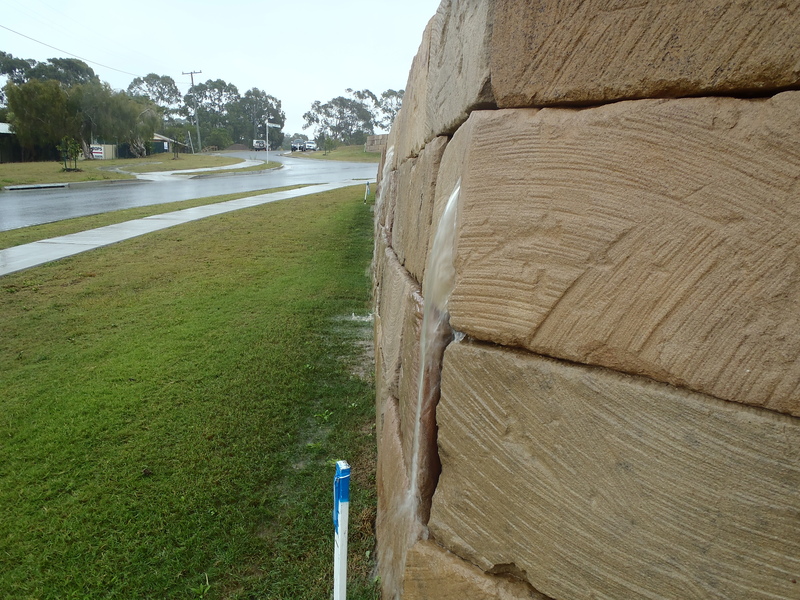 Here are photos taken of poor drainage work done recently on a retaining wall built by a competitive business. Do not take the chance of getting a shoddy job done on your property. Think about what that would do to the valuation. 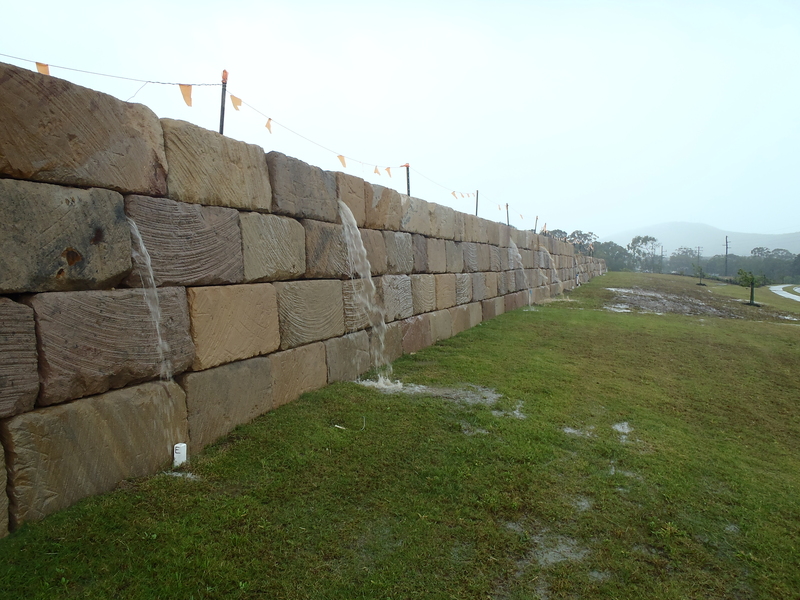 Big Wall Builders use Austral Masonry products for their retaining walls. Give Duwayne Keefe a call on 0412 581 081 to get the job done efficiently. Duwayne is a tradie that you can trust. These are a few of the products used in drainage solutions for projects. Terradrain is a non-woven geotextile, which when covering a dimpled plastic sheet, prevents dirt from covering the drainage sheet. This causes an air gap for good ventilation and creates an inflow and can easily catch and move high volumes of water and resists large loads from formwork and earth. J-Drain Strip Filters help in agricultural pipe drainage; shotcrete wall drainage; road edge drainage; sports field drainage and Strip filters provide site water drainage. Strip Filters are made from HDPE plastic core encapsulated in a non-woven getotextile, with typical cross-sectional sizes. Drainage Cell is used for draining vertical and horizontal structures and it is a 30 millimetre light interlocking plastic structural module. Drainage cell is used for landscape decks, planter boxes, roof gardens and also behind block retaining walls.